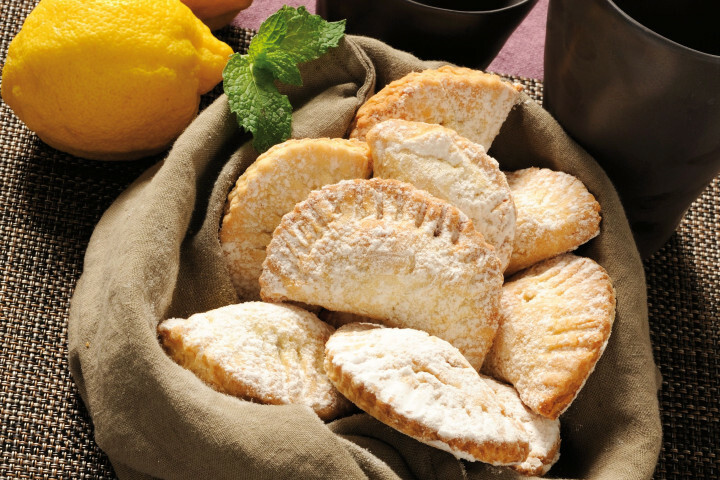 Short crust pastry half-moons are typical desserts of Italian culinary tradition. Depending on where they are made, the recipe can vary a bit, the filling may be different, as may be cooking method also. Traditionally baked around Christmas time in southern regions like Puglia, Calabria, Campania, etc.. they are mostly enjoyed deep-fried (and called Ravioli) at Carnival time in Lombardy, Veneto and other northern areas. Here comes an up-market, elegant recipe that all your guests will appreciate! If you thought that cooking crayfish was hard, we want you to reconsider and allow us to show you how to prepare a delicious dish with it in a very short time! 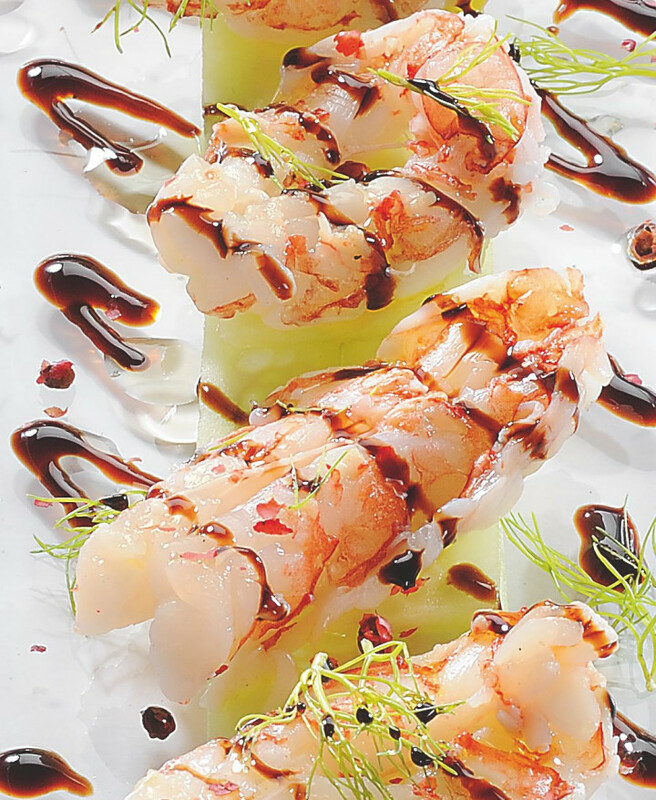 Serve it as part of a buffet, as an appetiser, or make bigger portions for a gourmet main course! 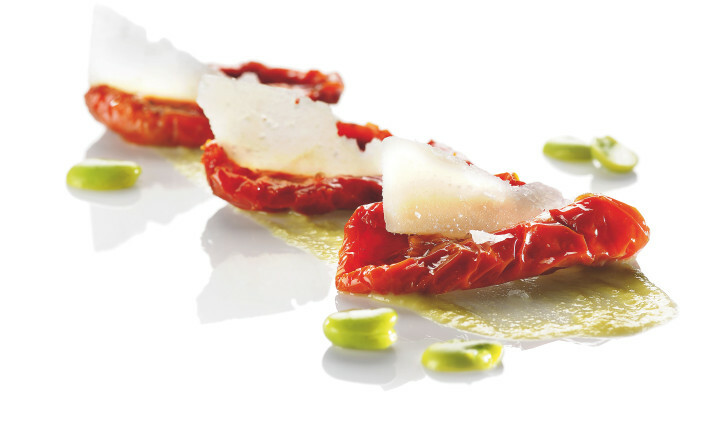 This recipe couldn't be more representative of culinary Italian culture: broad beans (long described as 'the poor man's meat' because of their high protein and iron content) are widely used, especially in the south of Italy; sun dried tomatoes, originating from the smart thinking of the farmers, who had to find a way to preserve the produce for colder seasons; and Pecorino Romano, a product made from sheep's milk, mostly produced in Sardinia. Who can resist sun-dried tomatoes? Their savoury, salty taste, enhanced by herbs and spices, is perfect on bread or croutons. 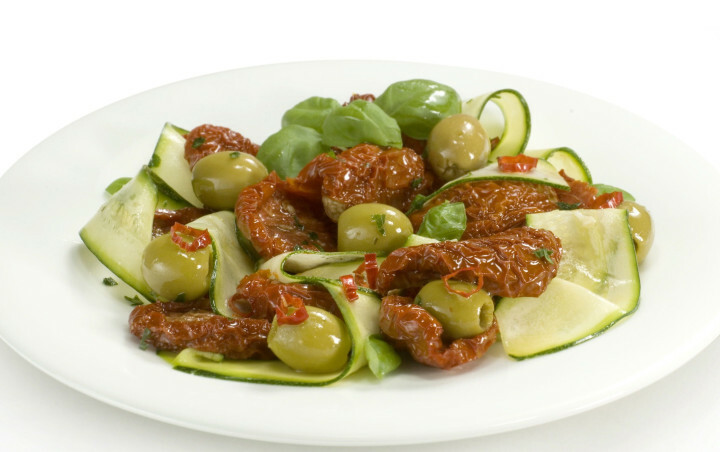 And you can make them even yummier by combining them with zucchini and olives - an appetiser that everyone will enjoy! Serve it at the beginning of a meal, during an aperitif or simply as a snack. Ricotta is a typical and very versatile Italian cottage cheese: it can be eaten along with savoury dishes, be an ingredient of a savoury dish itself (e.g. pasta with ricotta, quiche..) or it can be a great dessert component! The dessert we suggest in this recipe is a real delicacy - sweet and 100% natural and wholesome at the same time! Feel free to enjoy it.. without the guilt! 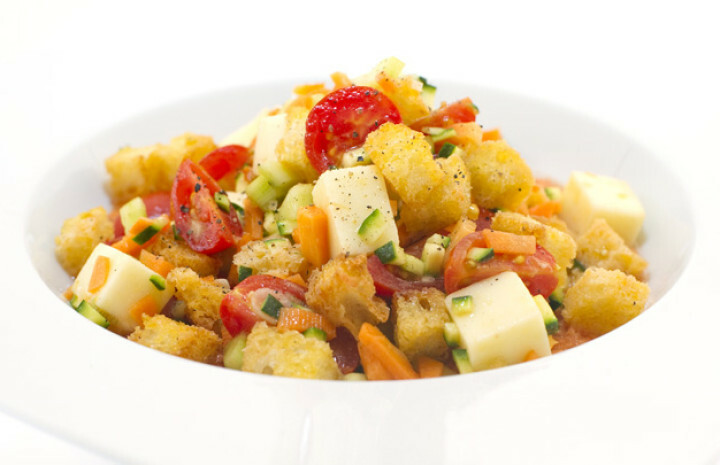 The Panzanella is a typical dish from central Italy, very famous in Tuscany, Marche and Lazio. The original recipe calls for stale bread, red onion, basil, olive oil, vinegar and salt, but over time some more ingredients, such as fresh tomatoes and cucumbers, have made it onto the list. We suggest to couple it with some fresh homemade gazpacho for an extra taste! 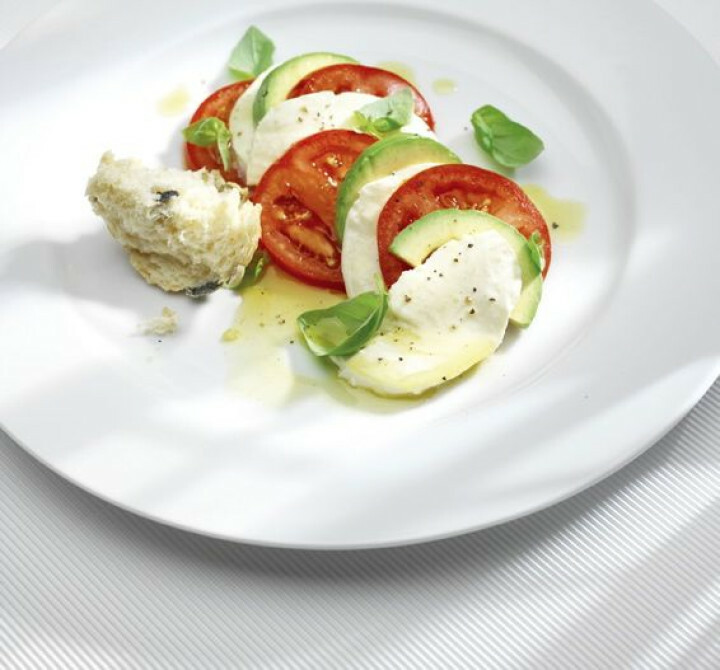 Tricolore Salad is a variation on probably the most well-known and popular Italian salad, Caprese, made with tomatoes, mozzarella and basil. This dish comes from the Campania region in the south-west of Italy but it's enjoyed everywhere. Its name, 'tricolore' (three-coloured), refers to its colours, which are the same as the Italian flag - red, white and green. This recipe features one of the most delicious mozzarella, the buffalo one. Dinner is over, everyone's happy and full, sitting around on the couch or on the terrace.. A perfect moment for a Vecchia Romagna Cocktail! Surprise your guests with this incredible mix of sweet and sour flavours, crowned by a delicious vanilla aroma. Cheers! 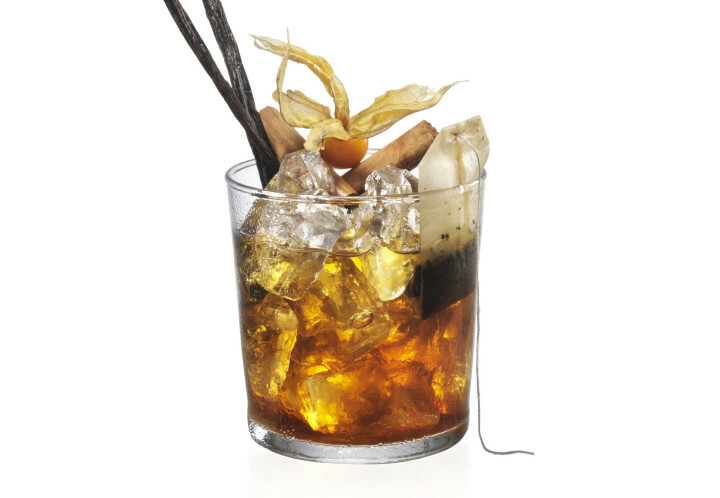 This is a simple, delicious and versatile drink, ideal as an aperitif or at a party with your friends or family. 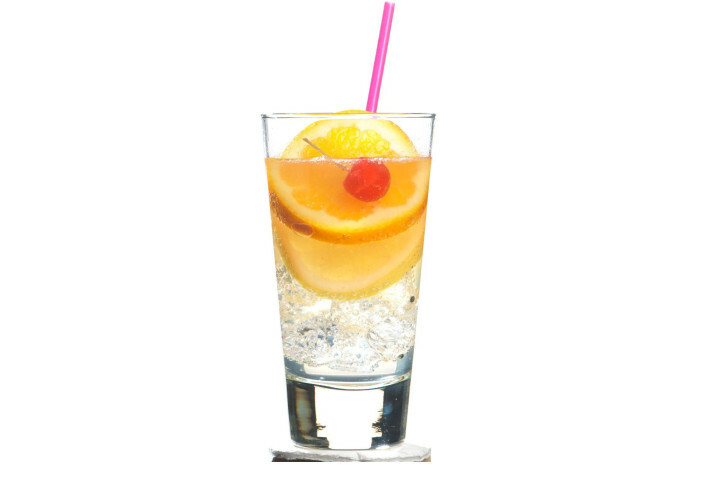 You only need a few easy ingredients and very little time to prepare this outstanding delight: the intense brandy flavour goes well with the sweet note of the club soda and the sour aroma of the lemon juice, creating a perfect, tempting contrast. Garnished with fresh, seasonal fruit it will be a pleasure for the eyes, too. 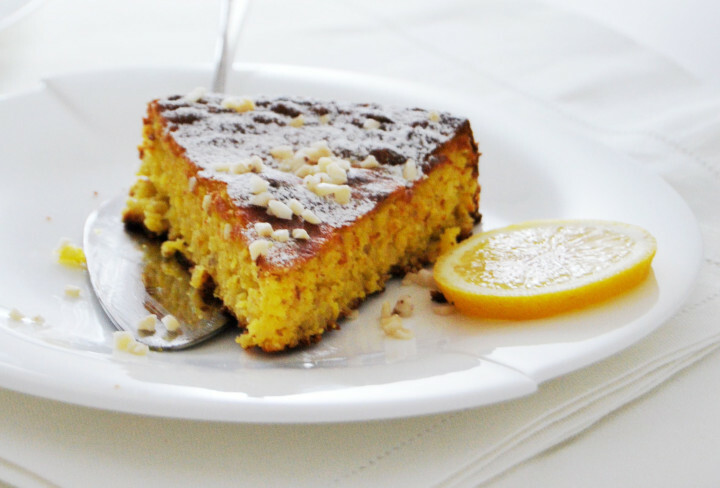 This is a very simple, yet delicious, dessert made with a few basic ingredients: ground walnuts, eggs, sugar and lemon. With its soft consistency and its nutty flavour, this cake is the perfect companion to a hot cup of tea on cold winter's afternoons. You can serve it 'au naturel', sprinkle it with some icing sugar or use it as a base and garnish it with a chocolate or mascarpone ganache. 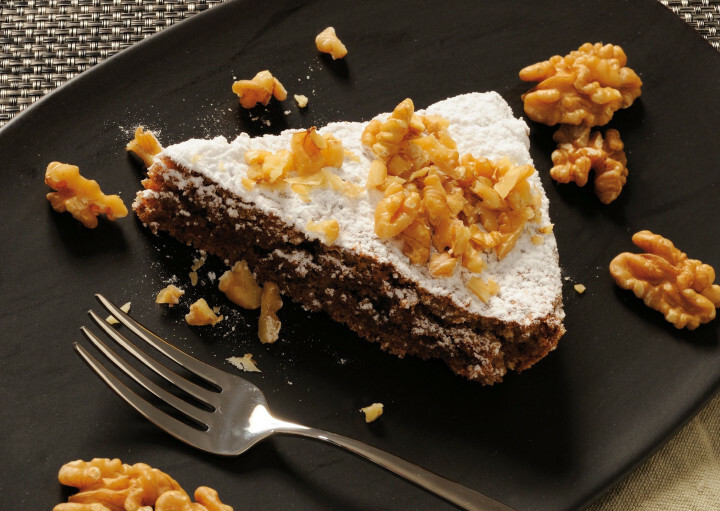 'White Caprese' is a delicious alternative version to the classical Caprese chocolate cake, with which it shares some of the main ingredients - eggs, almonds and butter. Its innovation lays in the use of white chocolate to contrast the bitter flavour of the lemons. The recipe originates from the Isle of Capri, from which it takes its name. If you are looking for an easy and quick praline recipe, here is all you need! 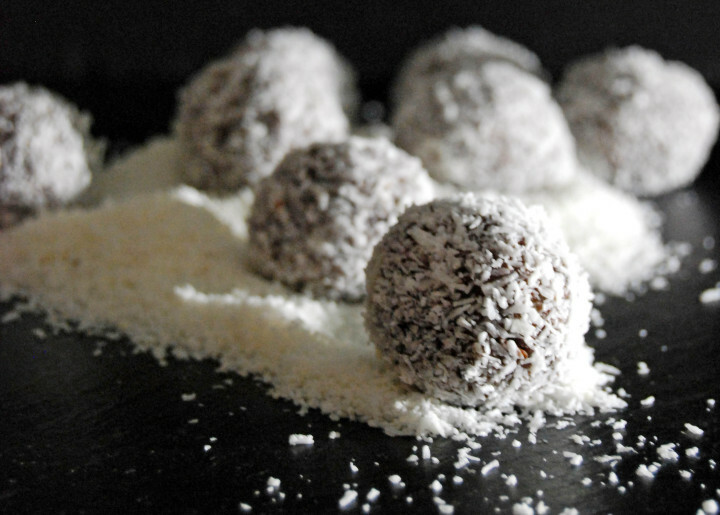 Follow our indications to create little chocolate dainties coated in fine, grated organic coconut. 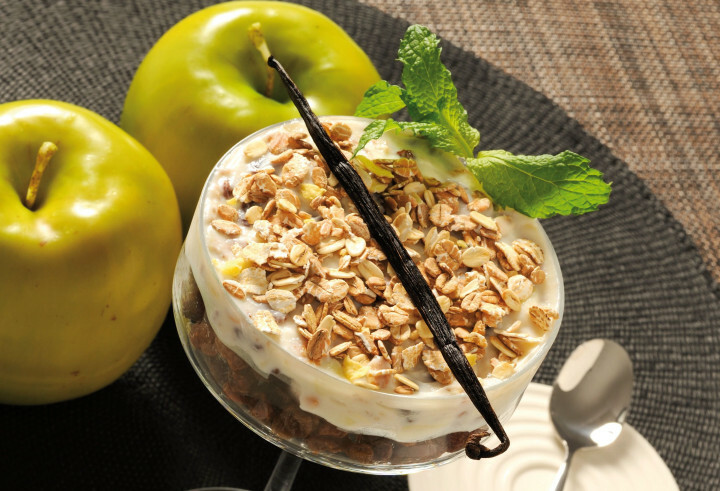 The ideal snack at breakfast time or in the afternoon, for a moment of pure delight!